Facebook’s new dating service is official – could it get complicated? Facebook is 14-years-old now, and just like most teens – is ready to get into dating. That’s right, Facey is officially in the dating game. Relationship statuses (stati?) were one of the original Facebook features – an existence which has been a much discussed, controversial and telling feature of users’ offline relationships. And before dating apps became “a thing”, Facebook was (and still is) a common tool for seeking love – or something kind of like it, anyway. But this month Mark Zuckerberg said the social networking site is making it Facebook official with the new dating service. The service will be within the current Facebook-as-we-know-it, but users will choose if they wish to take part or not. Standing in front of a large screen with the words, “Meaningful Relationships” on it, Zuckerberg made the announcement at the F8 developer conference earlier this month. 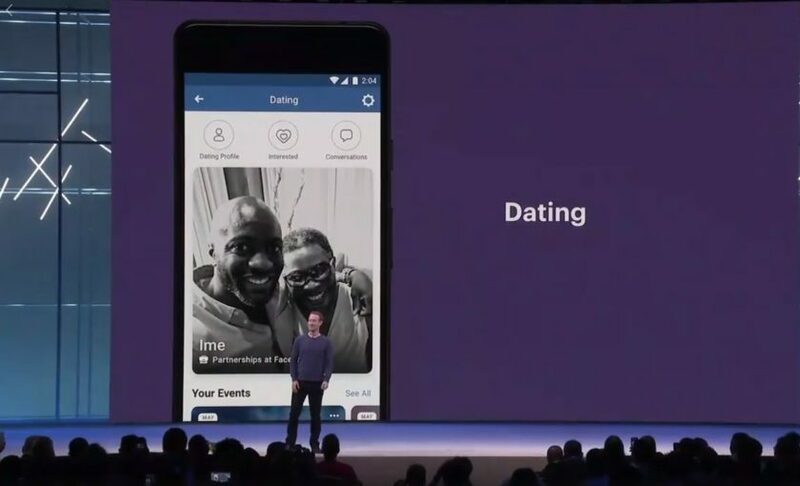 The new site will be called Dating (dammit, we were banking on DateFace) and Facebook product chief Chris Cox followed Zuck’s announcement with some early hints at how it will look. The Verge described it as, “looking similar to other mobile-focused dating apps like Tinder and Bumble, with full-page profile photos”. However, Cox said Facebook’s take on dating is more community-focused than existing apps, with integrations for the events and groups you’re a part of on the platform. If you’re thinking, “Why would people use this when there is already perfectly fine apps to use?” Zuck had answer to that: “Your friends aren’t going to see your profile, and you’re only going to be suggested to people who are not your friends.” This is a key feature which differs from existing apps where users are matched with anyone who fits their chosen criteria and location. The no-friends-only feature will reduce potentially awkward run-ins with users you don’t want to see on dating apps. Likewise, could it ensure some exes stay Facebook friends so they don’t chance a run in on the dating service? It also makes sense for the social media network to jump on the dating service bandwagon as most existing apps use Facebook data to power their own. This could pose a serious threat to competitors, and could also see Facebook’s popularity rise after losing traffic in recent times especially amongst millennial demographics. Without too much information at our fingertips yet, we think for marketers, this will present new opportunities around Facebook events and community groups, as well as capitalising on any renewed interest in the platform which may result. Facebook is due to announce more information, including a release date and rollout info for the dating features, later this year.